Plenty of animals have gone to space, but this monkey managed to find itself on the moon—and it appears that not all has gone well. What's this monkey's tale? 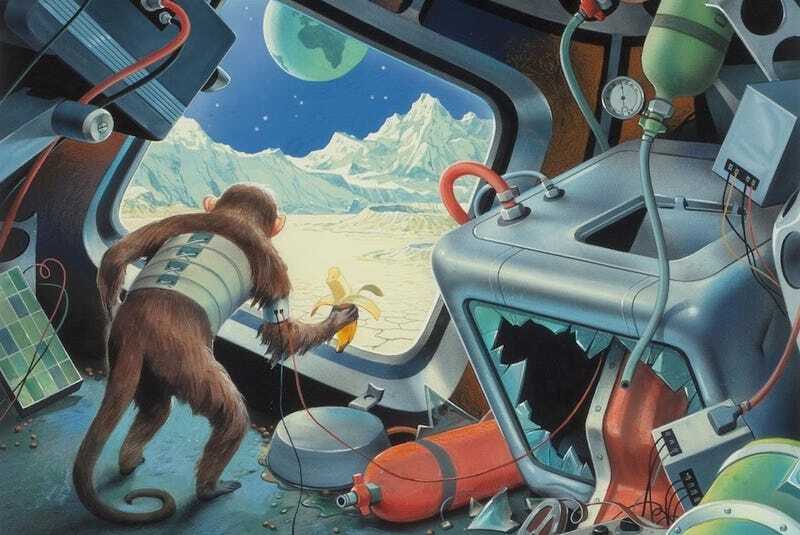 Alex Schomburg painted "What Need of Man?" for the cover of the February 1961 issue of Amazing Stories, via Boing Boing. If you're inspired by this particular image, write a story about it and post it in the comments.